The grower and the smoker who are looking for a powerful plant with a sweet, soft taste will definitely be impressed with the cannabis seeds of the Shaman by Dutch Passion. The sativa characteristics in the Shaman are undeniable and the THC content of this favourite is quite substantial with approximately 13.7 percent. Both in the greenhouse and outdoors this powerful hybrid reaches its full potential. The weed seeds of the Shaman combine the best features of a Skunk bud (female) and the male Purple #1 in an excellent manner. The person cultivating this plant by Dutch Passion will be surprised by the powerful purple glow that half of the plants reveal during the flowering period. 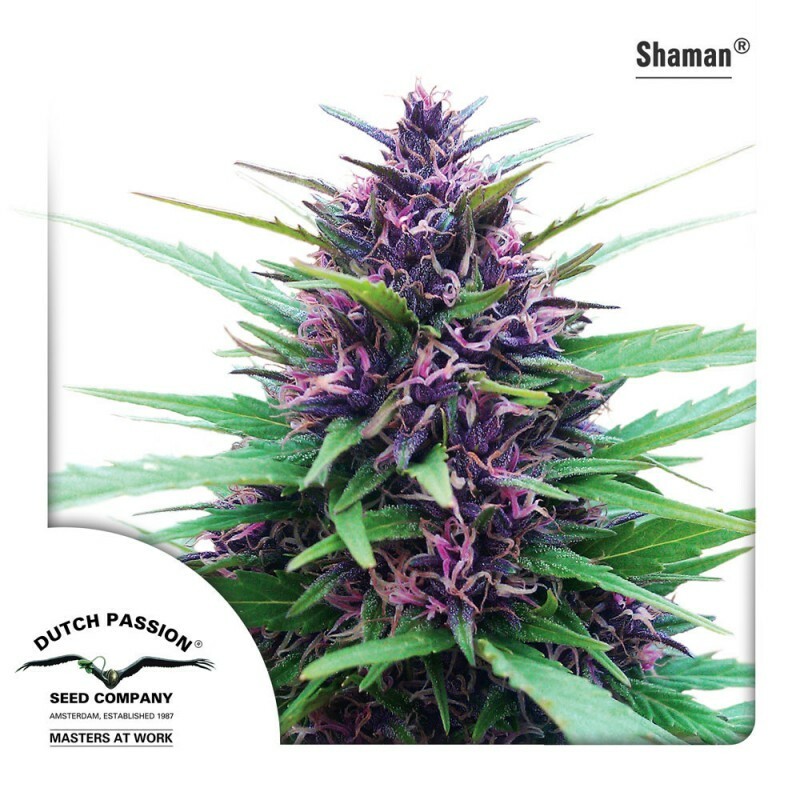 The grower aiming for robust quality should not hesitate to buy cannabis seeds of the Shaman by Dutch Passion. The genetics of the plant are adjusted to the outdoor cultivation and therefore perfectly resistant to bud rot, fungus and spider mite. The taste of the Shaman is soft and sweet and provides a high-quality ‘up high’.